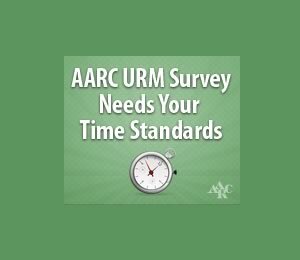 NSRC President-Elect Jeff Gonzalez is encouraging respiratory managers and directors to participate in an AARC survey to collect respiratory therapy procedure time standards so statistically validated national time standards can be developed. These will become the foundation of productivity systems to be published in the AARC Uniform Reporting Manual that will be available this summer. Participants can provide their data via a Web-based survey. The AARC is reaching out to all RT managers/directors regardless of whether they are AARC members. The scope of the project will extend well beyond just hospital inpatient procedures (including LTACHs, SNFs and inpatient rehab). Productivity systems for pulmonary function, blood gas, echo/non-invasive cardiology, hyperbaric medicine and sleep laboratory services as well as pulmonary rehabilitation services will be developed. The use of a time standards to quantify the demand for respiratory services, monitor productivity and justify staff are key in ensuring resources needed to provide safe and effective care. In light of the increasing use of industry consultants to improve profitability, the focus on reducing expense through reductions in labor and the use of legitimate and unassailable productivity systems is critically important. To learn more about the specifics of the project including price discounts for participation, go to http://www.aarc.org/urm_survey/. If you have any questions, please do not hesitate to contact Bill Dubbs dubbs@aarc.org. The survey will close on May 31, 2012.